Phoebe is a New York City native and has been dancing since the age of 4. 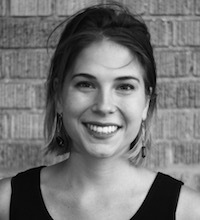 For the past five years Phoebe has been working in art education as both an educator and administrator. She has worked in the public schools as a teaching artist, as well as in many cultural institutions, including Jacob’s Pillow, St. Ann’s Warehouse and the Brooklyn Children’s Museum. After graduating from Macalester College in 2013 with a Theater/Dance Major and a specialization in Choreography and Performance Studies, she continues to make dances and explore the healing connection between mind and body to this day. Phoebe first discovered Dancewave as a dancer in the Adult Modern Company, and quickly fell in love with Dancewave and its supportive and nurturing atmosphere.